I’ve always considered my thoughtful, reserved nature to be part of my personality, even when I was encouraged to “come out of my shell” or asked why I was so quiet. People assume that if I’m not speaking, there must be something wrong. There are negative connotations given to introverts, and I worry that people will misread my character upon a first impression. But I shouldn’t be made to feel guilty for being quiet. Introversion should be respected and celebrated, not cured. At Hopkins, there are times when I feel obligated to speak even when it makes me uncomfortable. I’ve had the same sentence, albeit worded differently, appear in grades and comments every year since I could remember: “I wish Melody would speak up more in class.” Don’t get me wrong - I do try to participate verbally in class, and I know every voice is important and needs to be heard, but I’ve always struggled with sharing my thoughts out loud. 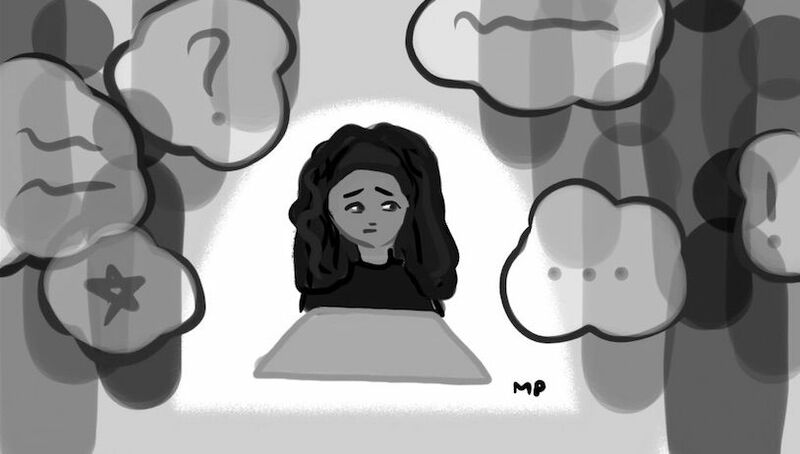 Why can’t I be heard through my writing, my work, my art? I am proud to own my words, so I keep them for a while, molding and shaping them until they represent what I intended. I am never the first to speak, but always the first to listen. To quote Susan Cain’s Quiet: The Power of Introverts in a World That Can’t Stop Talking, “We have two ears and one mouth and we should use them proportionally.” There is nothing wrong with listening, thinking, and letting your words sit for a while. Words are powerful, and they deserve to be crafted like masterpieces. There is a stigma around being a quiet person, but for many people, it’s just in their nature. Why should we be shamed for our craft, for our precision? Valuing words should not make you of lesser value.